From 1982-83 to 1985-86, Toronto’s AHL affiliate was located in St. Catharines, Ontario southwest of Toronto. In their first season, they featured two players who ranked in the top 10 in AHL scoring as Bruce Boudreau was the runner up for the scoring title and Reg Thomas ranked ninth. In 1983-84, the team made the playoffs for the first time in the club’s history and featured three players who ranked among the AHL’s top 10 point getters (Mike Kaszycki, Bruce Boudreau, Norm Aubin). 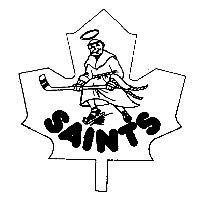 In their final season in St. Catharines, the Saints advanced to the second round of the playoffs before losing to the Hershey Bears. The team produced players such as Bob McGill, Craig Muni, Steve Thomas and Todd Gill who all went on to have successful NHL careers. From 1986-87 to 1990-91, Toronto’s AHL affiliate was located in Newmarket, Ontario just north of Toronto. The Saints played out of the Newmarket Recreation Complex which seated 3,700 people. The team enjoyed only limited success making the playoffs only once in their five year history. They were defeated by Adirondack in their only playoff appearance in 1988-89. Newmarket produced future NHL players Daniel Marois, Jeff Reese and Tie Domi who all went on to play for Toronto. Prior to the start of the 1991-92 season, Toronto moved its AHL affiliate to St. John’s, Newfoundland and the Maple Leafs promptly advanced to the 1992 Calder Cup final before being defeated by Adirondack in a memorable seven-game series in which the road team won every game. 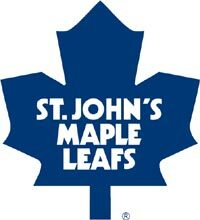 In 2000-01, the St. John’s Maple Leafs celebrated their 10th anniversary. In honor of the milestone, the Maple Leafs named All-Time First and Second All-Star teams and paid tribute to alumni who had played for the franchise. The First All-Star Team featured Felix Potvin, Nathan Dempsey, Chris Snell, Yanic Perreault, Patrik Augusta and Rich Chernomaz, while the Second All-Star Team consisted of Damian Rhodes, Jamie Heward, Joel Quenneville, Lonny Bohonos, Brian Wiseman and Andrew McKim. In 2001 the St. John’s Maple Leafs moved from Memorial Stadium (their original home) to Mile One Stadium, a 6,000 seat state of the art entertainment facility. In 2002, Mile One played host to the AHL All-Star Classic as Canada defeated Planet USA by a score of 13-11. The team has won three division titles (1992-93, 1993-94 and 1996-97) and captured the AHL regular season crown in 1996-97. The team has qualified for the playoffs in 10 of the previous 13 seasons. Over the past decade and a half, St. John’s has produced several NHL players such as Felix Potvin, Yanic Perreault, Nik Antropov, Alyn McCauley, Nathan Dempsey, Danny Markov, Grant Marshall and Joel Quenneville.